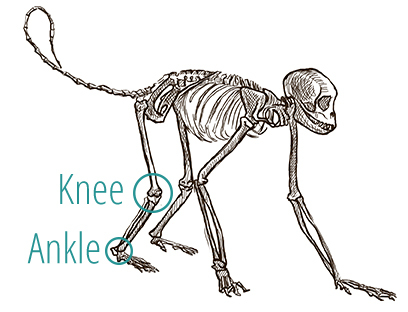 We've spoken before about that oh-so common artist's mistake of believing that some animals have "backwards knees." But in that original post, we only discussed "digitigrades." Digitigrades are animals that walk on their toes, with the "sole" of their feet off the ground, like cats and dogs -- this leads to the common myth that they have "backwards knees," as their ankles are easily mistaken for knees by humans who don't walk on their toes all of the time! But take care, not all four legged animals are digitigrade. Today, we'll look deeper into this topic and explore some other animal leg styles. Plantigrades are animals that walk on the soles of their feet. The animal in this category that you know best are humans, but bears, mice, raccoons, weasels, and monkeys are also plantigrades. It's typically much easier for artists breaking into drawing animals to learn to draw plantigrade critters, because their back legs are configured in a familiar way; unless, of course, they've been told about digitigrades! Then some artists will attempt to apply that knowledge even to plantigrade animals, leading to some unintentional tip-toeing bear drawings. Horses, donkeys, pigs, gazelles and most other animals with hooves are ungulates. Ungulates are animals that walk on their nails (hooves are just big nails!) rather than their toes. 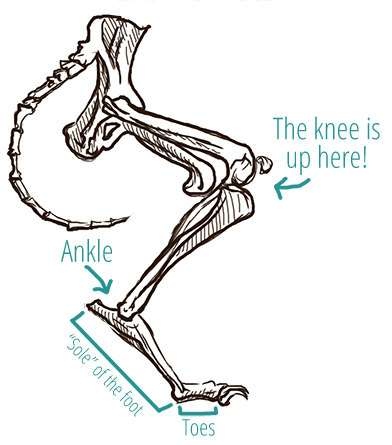 Picture these critters as the en pointe ballerinas of the animal kingdom. 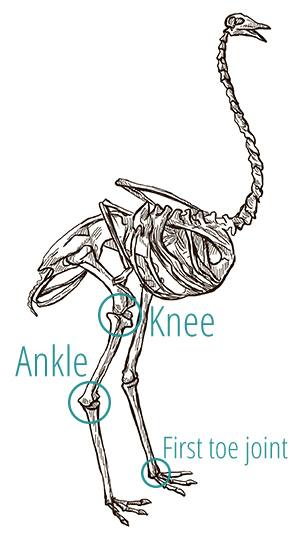 Birds are among the most difficult to recognize anatomically, as their upper legs are actually inside of their body, hiding some of the points you'd normally recognize in a leg. 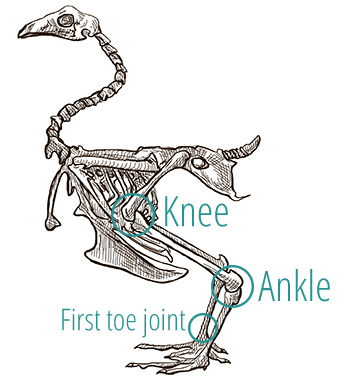 However, most birds are digitigrades, and again, what most people assume is a backward knee is actually their ankle! 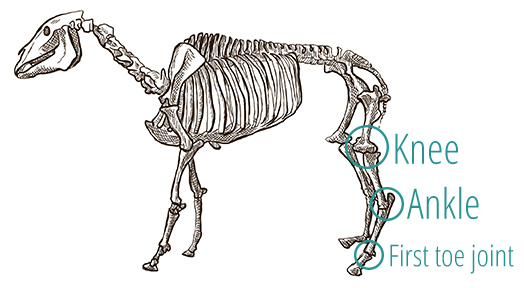 Comments on "Animal leg anatomy cheat sheet"
Oh my gosh, This was eye-opening. Thank you!